Due to the cold spell, demand for electricity is at its maximum, justifying according to EDF, the re-start without delay of reactors inspected by the Nuclear Safety Authority. The association Nuclear Observatory is worried about this speed, according to it to the detriment of safety. It appealed to the courts to invalidate three restarts. Update: The Council of State, by a decision of 18 January 2017, rejected the applications of the Nuclear Observatory Association, which challenged the legality of the authorizations for restarting the nuclear reactors Dampierre 3, Gravelines 2 and Tricastin 3, Nuclear Safety Authority at EDF. The Nuclear Observatory contested the re-launch of these reactors, which were found to be faulty (see article below). In its decision, the judge hearing the application for interim measures considers that EDF has taken the necessary precautions and in particular “precautionary measures of exploitation intended to reduce the risk of sudden rupture by making changes to the reactor operation”. Reporterre updated his map of the nuclear fleet, detailing the central situation by power station. To cope with the cold spell, have we rebooted some nuclear reactors too quickly, ignoring safety? Météo France announces – 6.4 ° C on average this Wednesday in metropolitan France, and the peak of 7 pm should require the call of a power of 95,000 megawatts. Demand for electricity is at its peak, while five nuclear reactors are still stationary, compared with just one last year at the same time. Already in November, Electricity Transmission System (TEN), which is responsible for supplying energy to France, warned that the peak would be “more delicate to insure than in previous winters, by reason of unavailability of several production sites “. Indeed, multiple stops of nuclear reactors had to be programmed during the year 2016, after the revelation in April and then in July, dozens of anomalies in the design of the parts equipping the nuclear reactors. Reporter told you in detail the whole matter. After checking, the Nuclear Safety Authority (ASN) authorizes EDF to restart the reactors one after another. “But there was pressure on the ASN. Seeing the cold spell come, EDF has done everything possible to restart its reactors as soon as possible, “says Stéphane Lhomme, director of the association Nuclear Observatory. For him, the safety conditions are not met and “a Fukushima-type accident is possible”. That is why his association has asked the courts to suspend three of ASN’s restarting authorizations for the Dampierre 3, Gravelines 2 and Tricastin 3 reactors. Why these three? “Because they were the first ones who were allowed to restart,” explains Stéphane Lhomme. The suspension and suspension were examined by the Council of State on Friday 13 January, which should give its decision no later than Wednesday. The parts on which defects were discovered are the steam generators located in the reactor building. For these documents, the IRSN (the Institute for Radiation Protection and Nuclear Safety) explains that there is “exclusion of rupture”: that is, the consequences of their failure would be so great that Is not even taken into account in nuclear safety scenarios. “In particular, the steel of the parts near the reactor must be able to withstand violent thermal shocks. At any time, it may be necessary to pour cold water onto the steam generators, “explains Stéphane Lhomme. Abnormal carbon concentrations have been identified in the steel tanks of the generators, making them potentially more fragile than expected. The maximum recommended concentration by the ASN is 0.22%, while the controls have shown that some zones in the tanks have a concentration of up to 0.39%. For the Nuclear Observatory, ASN’s authorizations to restart reactors do not comply with its own regulations and violate the precautionary principle. These are the reasons that were invoked before the Council of State. In their defense, ASN and EDF recall that the 0.22% recommended is not included in the law, which is therefore not infringed. Especially, according to them the risk is not so high that feared the Nuclear Observatory. “The sudden rupture [of the steel] occurs in the event of the simultaneous appearance of three parameters”, indicates the ASN in its brief, which Reporterre consulted, to the Council of State: a material of “insufficient toughness” , A crack in this material and a thermal shock. The fragility of steel tanks is therefore not dangerous on its own, says the ASN. And then, restarting the reactors is allowed with some precautions, called “compensatory measures”. Everything is done now to avoid thermal shocks, the authority reassures us. The operation of the pumps capable of pouring water abruptly onto the reactor is, for example, modified, the temperature variations during starting and stopping of the reactor are limited, etc. In its memorandum, which Reporterre consulted, in court, EDF acknowledges having already given its answer: stopping reactors with poor workmanship “in cold winter, where electricity needs are increased, would pose serious problems for the security of energy supply ‘. — France’s nuclear giant Areva admits to ‘400 irregularities’ in power plant parts; will the UK govt finalize HInkley Point contract with Areva? Areva is partner in the Hanford nuclear site. Documents on 400 Areva nuclear reactor parts were “modified’ — falsified — to rubberstamp their quality because those 400 parts failed the tests. France’s ailing nuclear giant, Areva, faced a major scandal on Tuesday after the country’s nuclear watchdog confirmed there have been “irregularities” in 400 parts produced in its reactors since 1965, and that “around 50 are currently in service in France’s nuclear power plant fleet”. France’s independent Nuclear Safety Authority, ASN, said the “irregularities” were listed in an audit it had ordered from Areva after it detected a “very serious anomaly” in a reactor vessel in the country’s Flamanville EPR nuclear plant, the same model Britain plans to use for two new plants at Hinkley Point. The fault in the vessel destined to house the plant’s nuclear fuel and confine its radioactivity was detected last year. “These irregularities consist in incoherencies, modifications or omissions in manufacturing dossiers,” ASN said in a statement. The revelation came hours after Areva’s director general admitted that 400 documents assessing whether parts of nuclear plants met required standards may have been “falsified”. The doubts over documents supposed to rubber-stamp the quality of parts destined for new-generation nuclear power reactors will be a cause for serious concern for the British government as it is poised to finalise a controversial, multi-billion pound contract to build reactors at Hinkley Point designed by Areva. Areva launched an audit late 2015 into anomalies at the Le Creusot Forge site, which specialises in highly complex moulded parts for new-generation nuclear reactors. According to Les Echos, an operator conducted tests on metal parts then wrote down his findings on a host of parameters. “When a value was obtained at the upper end of the required norm, the written reports of certain manufacturing reports were allegedly modified,” it wrote. This was the case for around 400 parts, it wrote. 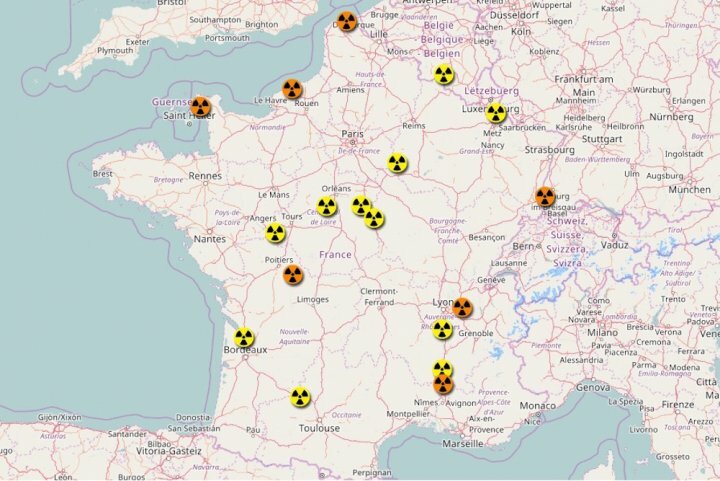 ASN said it has asked Areva to transmit as soon as possible the list of parts concerned and its analysis of the consequences on the safety of installations”. The explosive revelations came just hours after Emmanuel Macron, the French economy minister, visited the site. During the visit, Mr Macron reiterated the French government’s support for the Hinkley Point project, which unions at EDF have argued is too expensive for the cash-strapped French electricity utility due to manage it. “Hinkley Point is an essential project for this factory and I have come to restate the government’s commitment to the project without which there would be hundreds of job losses at the Le Creusot site,” he told unions. “I believe in the need to undertake big export projects for the French nuclear industry and in particular Hinkley Point,” he went on. His words came days after Mr Macron confirmed that the final decision on whether to go ahead with the project would be delayed until at least September, casting fresh doubt over the likelihood of the plant starting up in 2025 as planned. Mr Macron issued the latest delayed timescale after announcing thata financial bailout for developer EDF had been agreed with the French state, its majority shareholder, but that the company would embark on a 60-day consultation with unions hostile to the project. “Jobs” is the banner waved by the French government to promote their nuclear maladventures. If France would quit bombing Syria and Libya and other countries and quit subsidizing NATO, there would be plenty of money in the federal budget for creating a strong living economy.